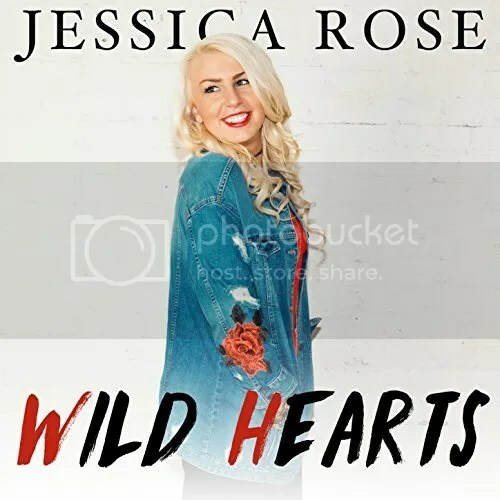 The country singer known as Jessica Rose has released her latest EP album, “Wild Hearts.” The EP contains five original tracks for an approximate total listening time of 15 minutes. It has been proudly published on the Jessica Rose Records independent music label without the direction of the corporate music industry. Fiery, contemporary, and blending pop hooks with traditional country themes, “Wild Hearts” is a country record that proves Jessica Rose means business. Nashville, TN’s Jessica Rose cites as main artistic influences 21st Century titans such as Carrie Underwood, Kelly Clarkson, and Sugarland. As might be implied, her own music stands on the cutting edge of the country genre, less Reba McEntire and more Alison Krauss, making it ripe for play on modern radio and at country music joints around the world. Most country fans will know Jessica Rose from her appearance on American Idol’s 12th season, a show which regularly informs and produces the country music stars of tomorrow, Carrie Underwood and Kelly Clarkson themselves being winners of the program. But Rose is also notable for having been named a Country Music Association Emerging Artist of 2017. She will be featured at this year’s CMA Music Festival in Nashville, TN June 8th-11th. She is the winner of the 2017 WSM Roadshow competition founded and conducted by the Grand Ole Opry and WSM 650 AM. Jessica Rose can also be heard playing the 10-Minute Tune on Nash FM’s America’s Morning Show with Ty, Kelly and Chuck. She is a regular performer at Bridgestone Arena for Nashville Predators games on the Puckett’s Stage and at the Lexus Lounge. Jessica Rose is a regular name at many famed Nashville venues including Tootsie’s World Famous Orchid Lounge, the Blue Bird Cafe, the Stage, Big Shotz, and others. “Wild Hearts” by Jessica Rose is available online worldwide from over 700 quality digital music retailers now.